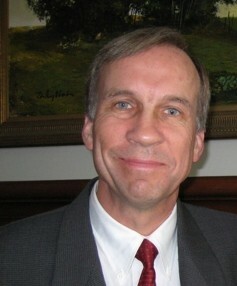 Grant Bennett became President and CEO of CPS Technologies Corporation (CPS) in 1993. He joined CPS in 1985. Prior to joining CPS, Mr. Bennett was a consultant at Bain & Company in Boston, MA. He is a graduate of the University of Utah and MIT. Company Profile: CPS Technologies Corporation develops and manufactures metal-matrix composite components for a variety of end markets. Our primary metal-matrix composite material is aluminum silicon-carbide, known by its chemical symbol, AlSiC. AlSiC has thermal and mechanical properties that significantly increase the performance and reliability of certain electronic applications. The Company�s products are generally used in high-power, high-reliability applications. These applications always involve energy use or energy generation. The Company is an important participant in the growing movement towards alternative energy and "green" lifestyles. For example, the Company�s products are used in mass transit, hybrid and electric cars, wind-turbines for electricity generation as well as routers and switches for the internet. CPS has a leading, proprietary IP position in metal matrix composites and is the largest producer of these composites in the world. CPS is an MIT spin-off founded in 1984. CEOCFO: Mr. Bennett, will you give us an idea of how long you have been with CPS Technologies and what attracted you? Mr. Bennett: I joined CPS Technologies in 1985, one year after the company was founded. My attraction to the company really was the caliber of the original team at CPS, which included Clayton Christensen who went on to write the book �The Innovator�s Dilemma� and coin the term �Disruptive Technology� as well as several very prominent material scientists. CEOCFO: What is the vision and focus today of CPS? Mr. Bennett: CPS today is the world�s largest producer of metal matrix composite components. Metal matrix composites are a class of materials in which metals and ceramics are combined to produce materials that have unique properties. We have a proprietary process for making the composite and making components out of the composite. We produce products for the electronic thermal management marketplace which is a rapidly growing, rapidly evolving marketplace. We believe we have a real solution to a growing need there, so our focus in the near term is simply to continue to penetrate worldwide the applications that we have already identified as needing the properties we bring. We of course are also looking at and for new applications for our metal matrix composites. CEOCFO: What are some of those applications and the various industries? Mr. Bennett: To understand the market segments on which we focus it is important to understand the basic need that we meet. I will do a brief digression into some technology here. Almost every material expands slightly when it heats up and contracts slightly when it cools down. Integrated circuits (ICs), the building blocks of all electronics, expand at a certain rate when they heat up and contract at a certain rate when they cool down. This expansion and contraction is not a concern in applications that generate only a small amount of heat such as a battery operated cell phone. However, this is a real issue in applications that generate significant heat, because unless the surface on which the IC is mounted expands and contracts at the same rate as the IC, eventually the IC will break off the surface on which it is mounted and the system will fail. By combining metal and ceramic into a composite, we create a material that expands and contracts at the same rate as ICs, and a material through which heat moves very efficiently, thereby significantly improving the reliability and often the performance of the system. We have identified several end markets where the heat generated is significant indeed, and where reliability is important. One such market is the market for motor control modules, electronic modules that control electric motors. In trains and subway cars, the voltage and amperage going through the motor control module into the electric motor is very high indeed. These modules fail because of the expansion mismatch. We completely eliminate this cause of failure. By building modules on our baseplates, module manufacturers are able to provide a thirty-year guarantee instead of a three-year guarantee. This is of significant value to train manufacturers, for example. The identical need exists in a hybrid automobile or an all-electric automobile; once again the electrical current that is driving the electric motor passes through the motor control module. The motor control module in a hybrid or electric car essentially performs the same function as a carburetor used to in an internal combustion engine. Reliability of the module is critically important and use of our metal matrix composite material for the baseplate significantly increases the reliability. The ICs used in the motor control modules are called IGBTs, which stands for Insulated Gate Bipolar Transistors. Essentially anywhere IGBT circuits are used, there is an opportunity for us to improve the reliability of that module. A second major area for us is in the housings, lids and heatspreaders used for high-power microprocessors and application specific integrated circuits. Once again, if the IC uses enough power to generate significant heat the issue of expansion matching and reliability rears its head. We increase the reliability of the individual IC by providing a structure that has a similar expansion rate on which it is mounted. End uses for these ICs include internet switches and routers, bank ATM networks and other kinds of large networks. A third area which today is purely in the developmental stage, and is quite separate from our electronics business, is vehicle armor. The combination of metals and ceramics has the potential to provide the protection needed for vehicle armor at only a fraction of the weight of steel armor. We are using the same proprietary process technology we use to produce our electronic components to produce much larger structures, incorporating different types of ceramics, for vehicle armor applications. We have funding from the US Army to further develop our technology in this application area. We are very excited about the growth potential here, but today it is purely in a development stage. CEOCFO: Is that your HybridTech Armor� technology? Mr. Bennett: Yes, HybridTech Armor� is a CPS trademark. CEOCFO: How do you reach your potential customers; do you sell strictly to the manufacturers or do you have to go directly to someone like the army? Mr. Bennett: Our sales today are directly to the major electronics OEMs or component manufacturers. Customers for heat spreaders and housings for high-end microprocessor and application specific integrated circuits include Agilent, Avago, LSI Logic, Hewlett Packard, and Motorola. Customers for baseplates used in motor controllers include Infineon, ABB and International Rectifier. We have an in-house sales force coupled with some commissioned representatives in certain parts of the world, but we target and sell directly to either the IC manufacturers or to the motor control module manufacturers. CEOCFO: What sets you apart from the competition? Mr. Bennett: What sets us apart is our cost position, which is a function of our process technology and manufacturing scale advantages, and our shape capability. There are several different methods for producing AlSiC, but we believe our proprietary method is the lowest-cost method in the world today, and it also allows us to make a wider range of complex shapes than the competition is able to do. CEOCFO: Where do you see future growth coming from, and is it something where you look at specific industries or is it just meeting the demand that is out there? Mr. Bennett: There are many opportunities to further penetrate already identified applications on a worldwide basis. More specifically there are many opportunities for us not only in the U.S. but in Europe and Asia in the motor control module business and the high-end microprocessor and application specific integrated circuit businesses where customers today are currently using other materials. As we access these potential customers and they come to understand the advantages of AlSiC, we can displace the more traditional materials they are using. But in addition to displacing what they are currently using, these markets are in and of themselves growing very rapidly. In particular the market for hybrid and electric vehicles is obviously in its infancy and growing very rapidly. Today we produce baseplates found in two hybrid automobiles available for purchase; by the end of this year we will be in an additional four hybrid vehicles. We view hybrid and electric vehicles as a market that will be growing for many years. The demand for motor control modules used in wind-generating turbines is also growing and will do so for many years. Of course the market for vehicle armor is also very significant. CEOCFO: What is your market share, how big are the markets that exist? Mr. Bennett: Today we are the largest AlSiC component producer in the world, we believe that we have approximately 50% worldwide market share. We of course have competitors, but they share the other 50% of the market. In terms of the size of the market, we see an addressable market that is well over $100 million today, and which will be several hundred million dollars in a three to four year time period. The growth rate of some applications such as hybrid and electric vehicles is very high. CEOCFO: Where is your manufacturing done, and do you see a need for expansion? Mr. Bennett: We do 100% of our manufacturing here in Massachusetts. We have one facility wherein our engineering, sales and administrative offices are located with the manufacturing facility. We are now operating three shifts a day although our second and third shifts are much smaller than our first shift. We believe that we have the capacity in our current facility to meet demand for at least the next three or four years. Our lease on the current facility runs another five years and it is very likely that at the end of that time we will either need to move into a larger facility or expand the current facility. CEOCFO: What is the financial picture like for CPS Technologies today, and how did things shake out with the problems they had in Japan with the earthquake and tsunami? Mr. Bennett: We have always managed the Company quite conservatively from a financial point of view. We are not leveraged financially. We do have some capital equipment leases, but the Company has no debt and the Company has been cash flow positive and profitable for several years. For the last ten plus years, we have financed our operations entirely by cash generated from operations and we foresee that we will be able to do that in the near term. There are certainly some very significant opportunities that may justify financing via a secondary stock offering or through some other vehicle, but the base case is simply to continue to fund operations by cash generated from operations. Regarding the impact of the Japanese tsunami, we today do not have significant sales in Japan. However, we are making progress on that front and we are very optimistic there. Some of our customers do source components from Japan and they are seeing some shortage of certain ICs, but we really think that will be fairly temporary. We do not envision any kind of significant impact from the tsunami. Mr. Bennett: We have not been very active in investor outreach in the past. We of course have tried to respond to all investor inquiries, but our focus really has been on building the business as opposed to telling our story. We do feel both an opportunity and an obligation to be more active in communicating our story; to us it is a very exciting story. At the board of directors� level, we have made the decision to deploy more effort in investor relations. We are now in the middle of the recruiting a top-notch CFO and one of the reasons we are doing that is to be able to deploy more manpower in the investor relations area. CEOCFO: In closing, why should potential investors consider CPS Technologies, and touch on how the interest in alternative energy and green lifestyles has benefited your company? Mr. Bennett: We believe that we have a sustainable advantage in terms of our process technology for producing metal matrix composites. We are deepening and strengthening this advantage and we are also deepening our manufacturing scale and manufacturing experience curve advantages. We are very excited that there is a real need for reliability in the control of electric motors, whether that be for hybrid cars, electric cars, trains, subways, high-rise elevators, or high-end industrial equipment. Anywhere there is an electric motor being used there is a motor control module, and anywhere it is critical that that system be reliable, there is an opportunity for us to improve the reliability. The use of internet and network switches and routers will only increase. So we see significant long-term growth and we believe that we are well positioned to capture that growth. We have the largest market share today, we believe we have the strongest team, and we believe our technology and manufacturing scale advantages allows us to serve those applications at the lowest possible cost.